AAA-TM can now be configured to authenticate users with an external RADIUS or LDAP authentication server at a specific FQDN instead of only at a specific IP. With previous versions of the NetScaler ADC, OWA 2010 connections did not timeout because OWA sends repeated keepalive requests to the server to prevent timeouts, which interfered with single sign-n and posed a security risk. AAA-tm now supports forced timeouts that ensure that OWA 2010 sessions timeout after the specified period of inactivity. The process of collecting the load time and render time of web pages has been simplified by including the clientSideMeasurements parameter as part of the add appflow action command. NetScaler ADC now exports AppFlow records to a set of collectors if the transaction responses are served from the NetScaler cache. Configuring RISE with NetScaler ADC and Cisco Nexus 7000 Switches. A NetScaler cluster can now be configured to run with less than (n/2 + 1) number of nodes online. Spotted VIP for NetScaler Gateway clusters. Spotted VIP functionality has been expanded to enable clustering for NetScaler Gateway. MPTCP is now supported on a NetScaler cluster. Net profiles are now supported on a NetScaler cluster. 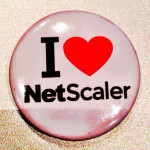 Traffic domains are now supported on a NetScaler cluster. VRID/VRRP is now supported on a NetScaler cluster. 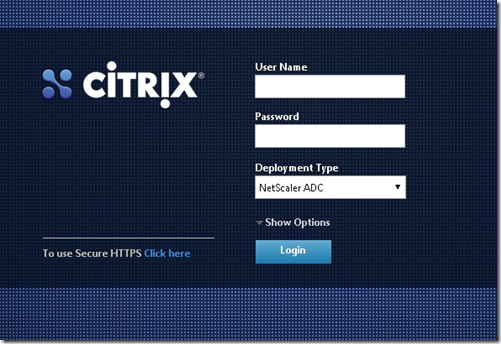 Content accelerator is a NetScaler feature that you can use in a Citrix ByteMobile T1100 deployment, to store data on a Citrix ByteMobile T2100 appliance. This saves bandwidth and provides faster response times, because the NetScaler does not have to connect to the server for repeated requests of the same data. When you create a content switching virtual server, NetScaler now supports using DNS TCP as the protocol used by the virtual server. NetScaler ADC when deployed in a proxy mode does not always send the query for an address record to the back-end server. NetScaler Insight Center can now dynamically set the threshold value for the maximum number of hits on each URL. The database cache functionality of NetScaler Insight Center stores database content locally in the cache and serves the content to users without accessing the database server. If the length of URLs displayed in the Web Insight reports is very long, you can enable the trim URL functionality to remove the query string from the URL. Data record logs provide detailed information about appflow records that NetScaler Insight Center collects from NetScaler ADCs. You can now configure the ICA session timeout value for inactive sessions on the NetScaler Insight Center configuration tab. You can now customize NetScaler Insight Center reports to display the metrics that you want, and you can specify bar graphs or line graphs. -Client side zero window size event: This counter indicates how many times the client advertised a zero TCP window. -Server side zero window size event: This counter indicates how many times the server advertised a zero TCP window. -Client side fast RTO: This counter indicates how many times the retransmit timeout was invoked on the client-side connection. -Server side fast RTO: This counter indicates how many times the retransmit timeout was invoked on the server-side connection. In the dashboard, you can now select and rearrange the columns displayed in the tables. These changes persist across user sessions. The top-right corner of the page now displays a percentile icon, which you can click to display percentile values and the highest and lowest values for a selected metric. On the dashboard, if you move the columns in a table and refresh the page, the column ordering is sometimes reset to default. NetScaler Insight Center adaptive threshold functionality dynamically sets the threshold value for the maximum number of hits on each URL. HDX Insight reports now include details about session reconnects, client-side retransmissions, and server-side retransmissions. Even if Appflow is disabled for a virtual server, you can clear the configuration in the NetScaler Insight Center by selecting Clear AppFlow Configurations from the Action list. HDX Insight now provides a report about active sessions, grouped by server IP and gateway IP. The GUI displays a real-time graphical representation of the CPU, memory, and disk resources used by the NetScaler Insight Center virtual appliance. The Call Home feature monitors your NetScaler instances for common error conditions. The ZebOS dynamic routing software package has been upgraded to version 7.10.2. You can now configure rate limiting for traffic domains. The NetScaler ADC now supports the industry standard (EEE 802.1AB) Link Layer Discovery Protocol (LLDP). LLDP is a layer 2 protocol that enables the NetScaler ADC to advertise its identity and capabilities to the directly connected devices, and also learn the identity and capabilities of these neighbour devices. NetScaler MPX appliances support receiving and transmitting jumbo frames containing up to 9216 bytes of IP data. Jumbo frames can transfer large files more efficiently than it is possible with the standard IP MTU size of 1500 bytes. The Responder feature now supports the Diameter protocol. The Rewrite feature now supports the Diameter protocol. NetScaler now supports BIC and CUBIC TCP congestion control algorithms. Adesso vado subito ad aggiornare il nostro Demo Center Aziendale..a presto! Questo articolo è pubblicato in Netscaler e taggato 10.5, aggiornamento, appflow, Citrix, html5, java, ncore, Netscaler, runtime, ui da Gabriele Pallassini. Questo è il suo link permanente.